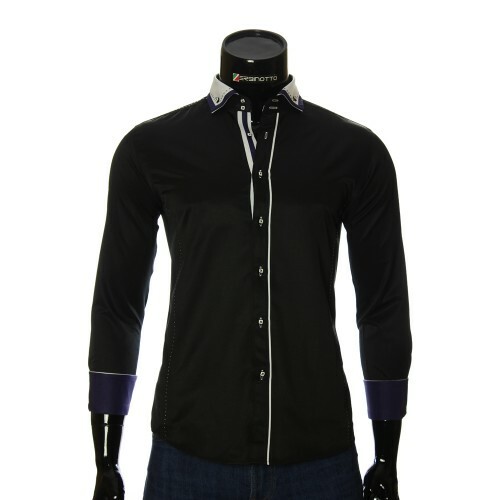 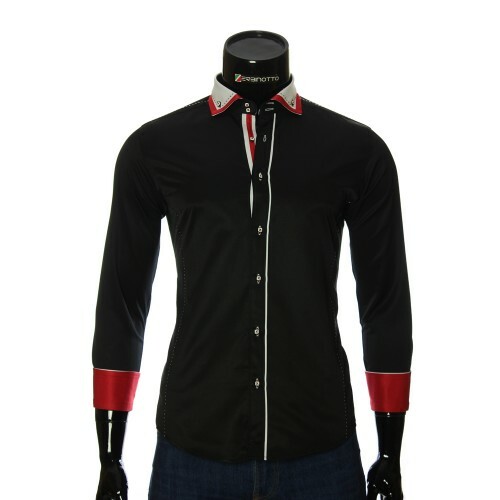 An elegant shirt accessory neck tie (ascot) for men in a black color with golden pattern of Vintage collection from Zerbinotto brand. 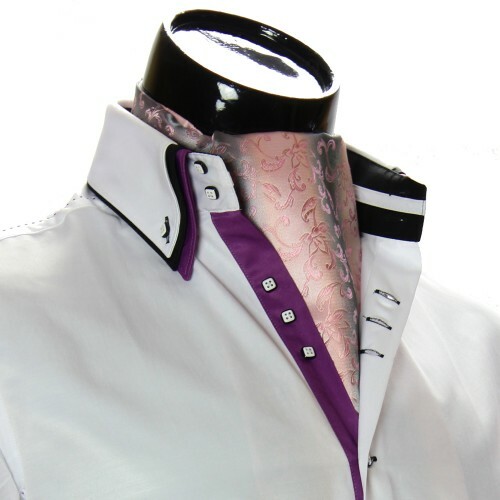 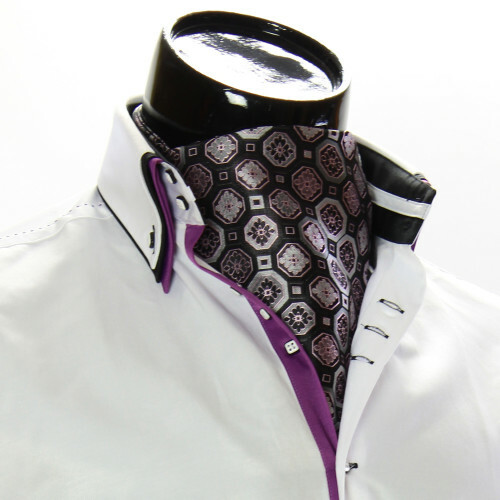 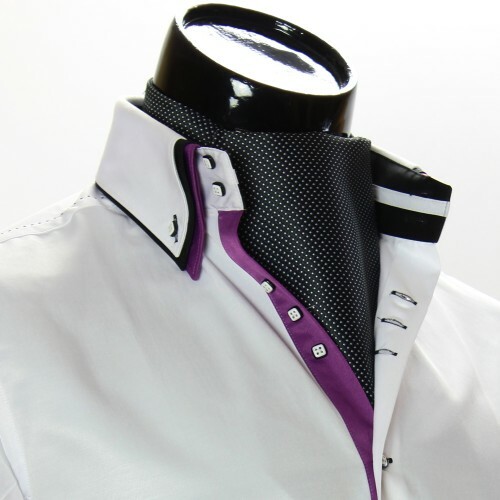 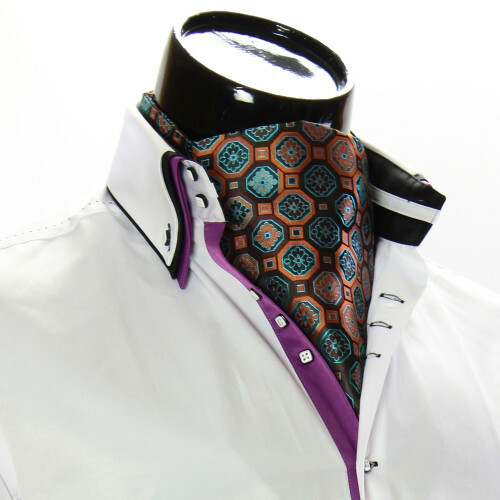 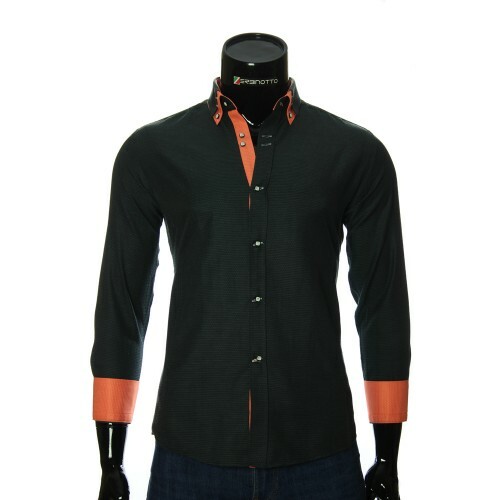 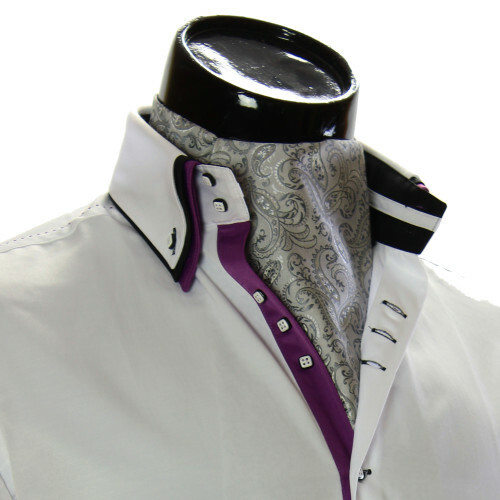 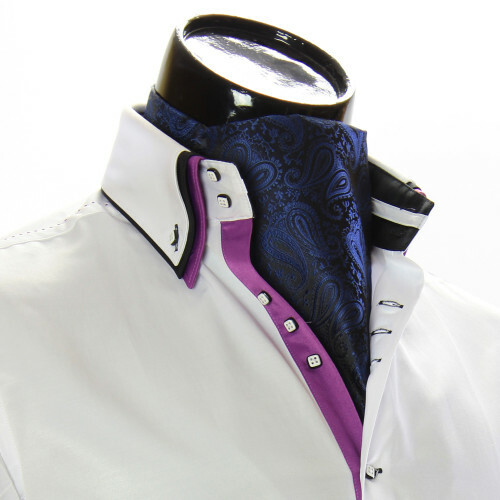 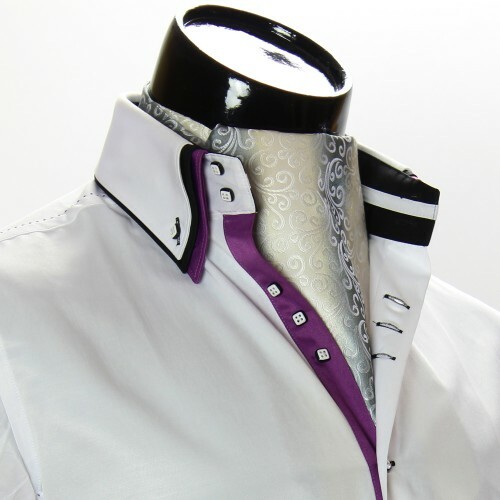 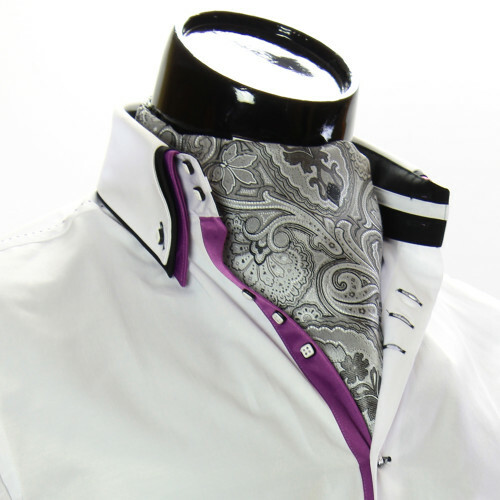 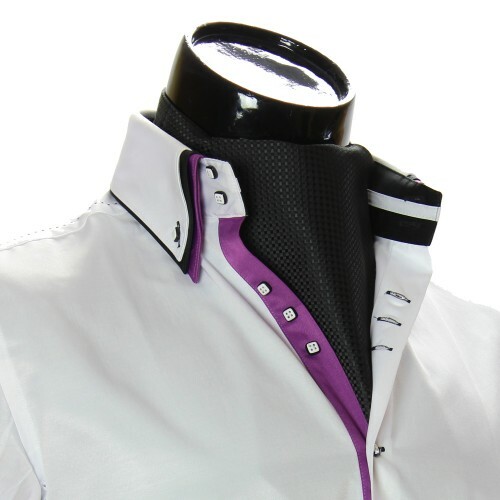 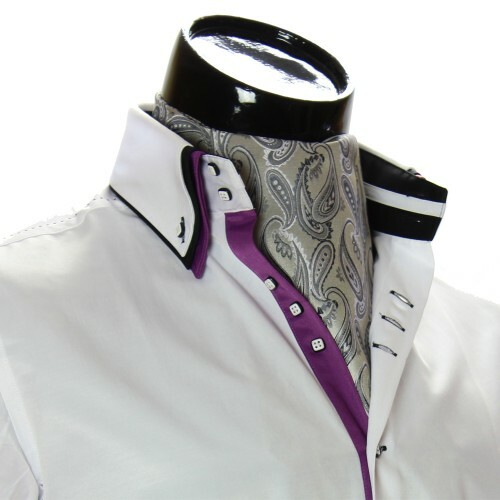 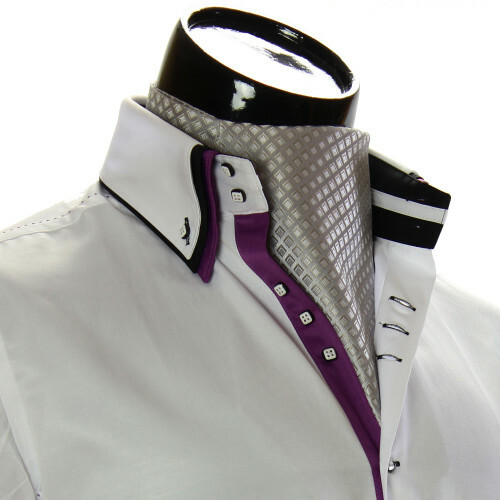 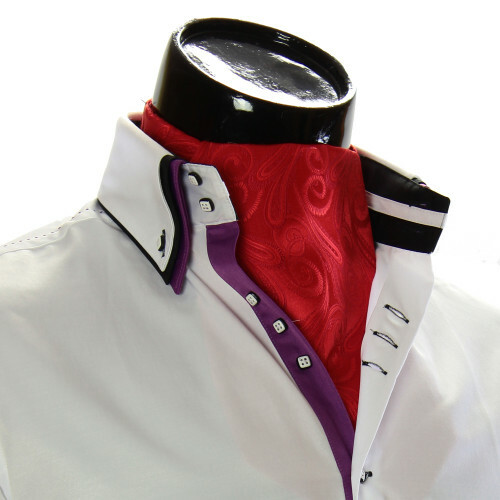 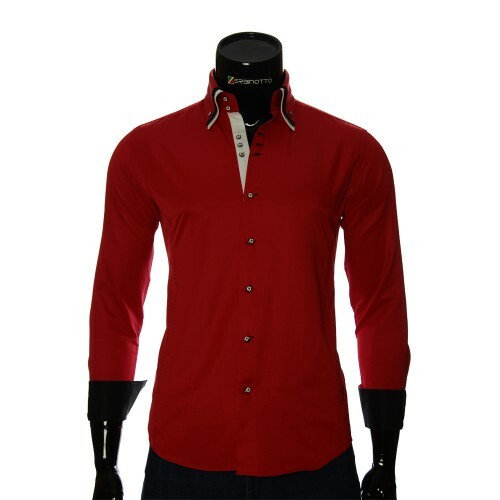 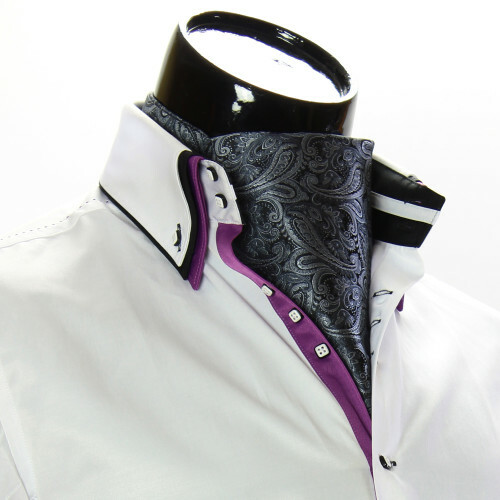 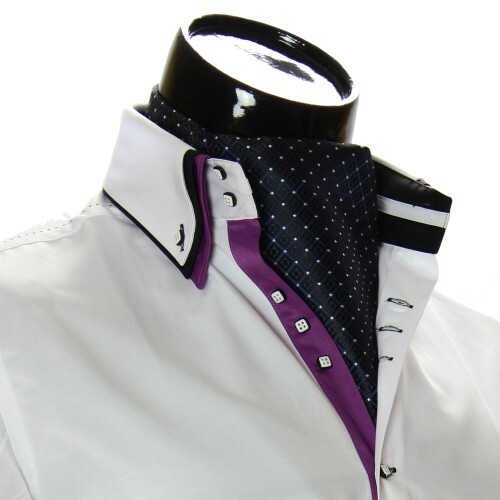 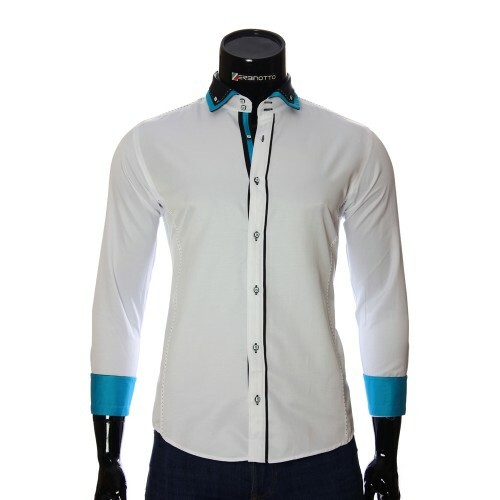 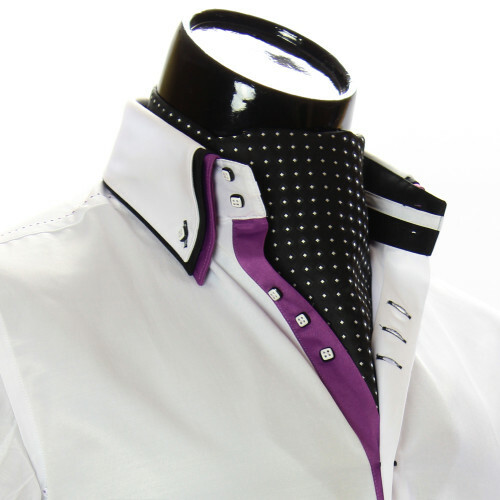 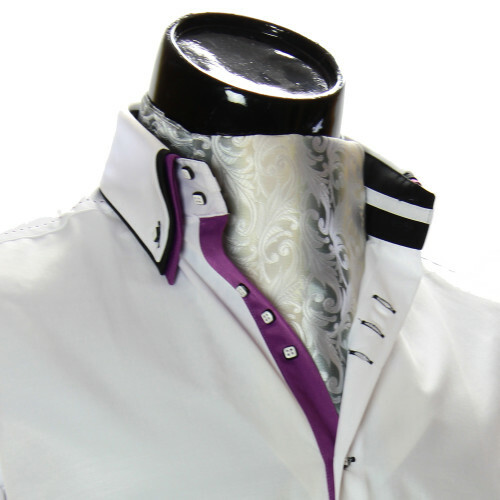 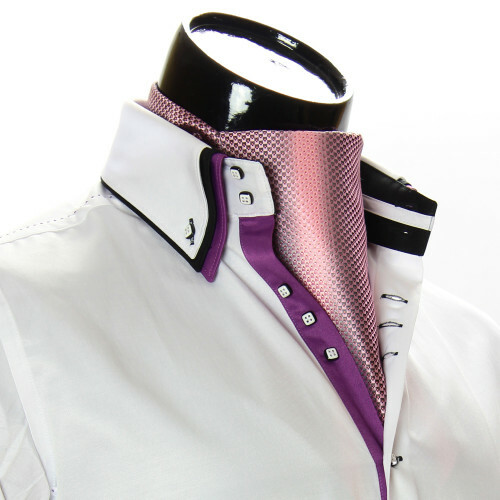 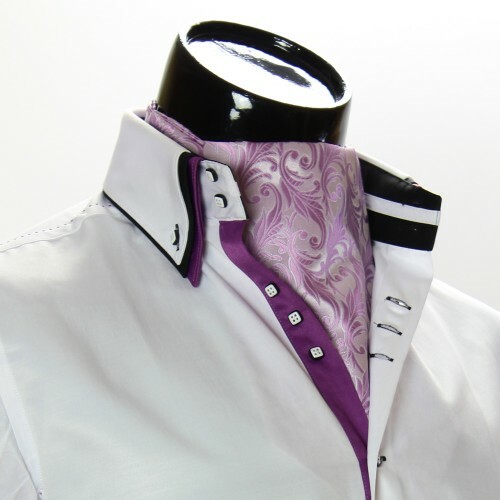 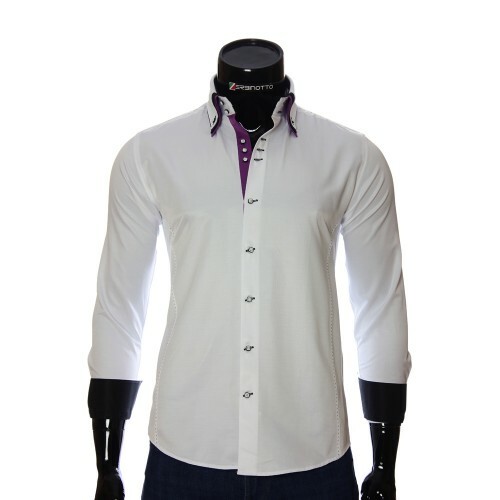 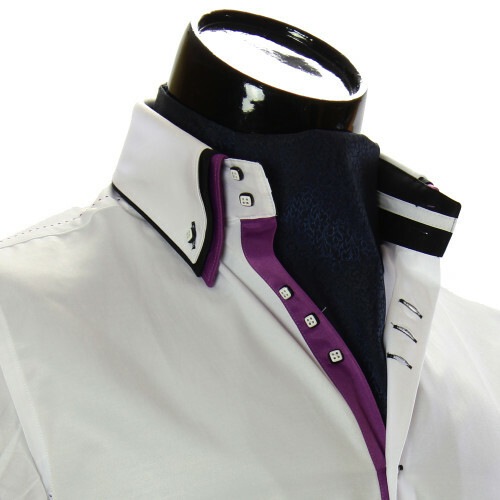 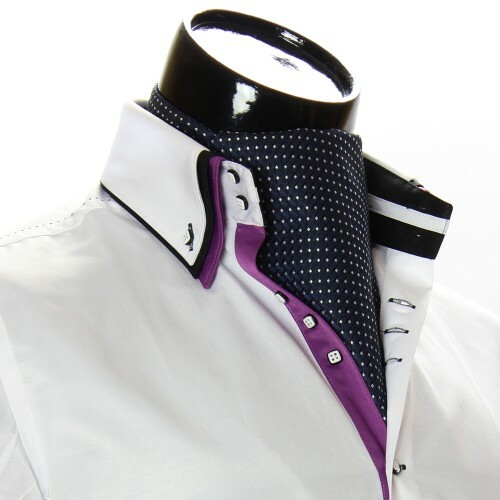 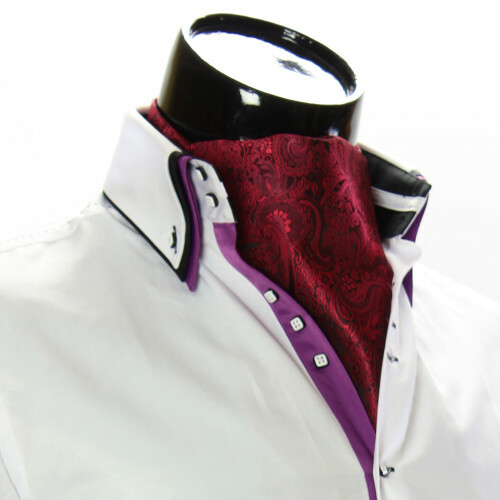 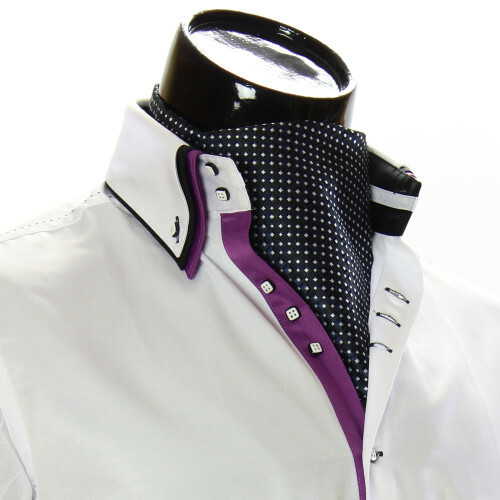 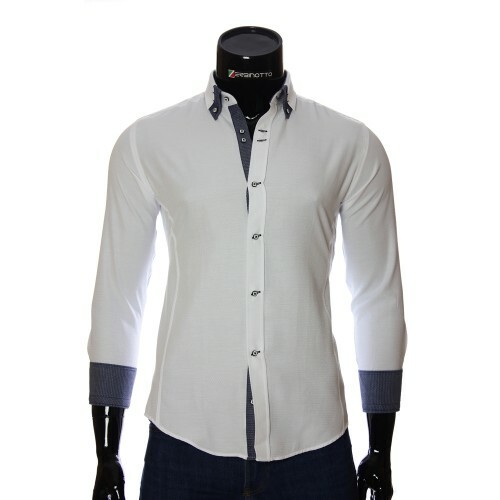 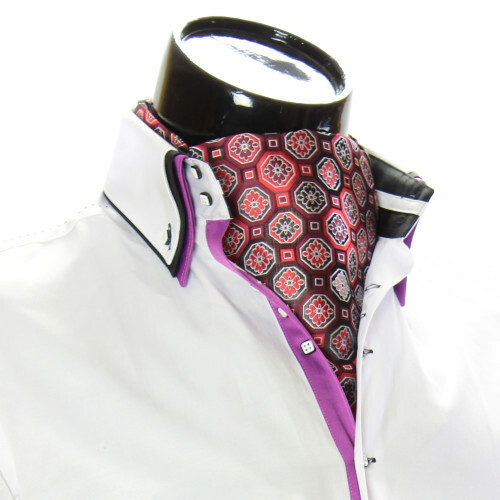 This model of ascot men's cravat is presented as an unsurpassed addition to your image, the ability of skillfully wear and emphasize the details of men's shirt, as well as stand out of a crowd. 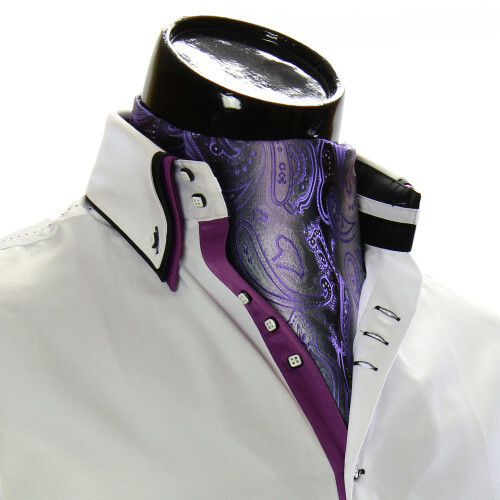 Please note that ascot men's necktie is an accessory for true connoisseurs of style. The men's cravat (ascot) is made in a combination of two colors: black and gold in a patterned design with overflow and with the outline of the pattern itself. 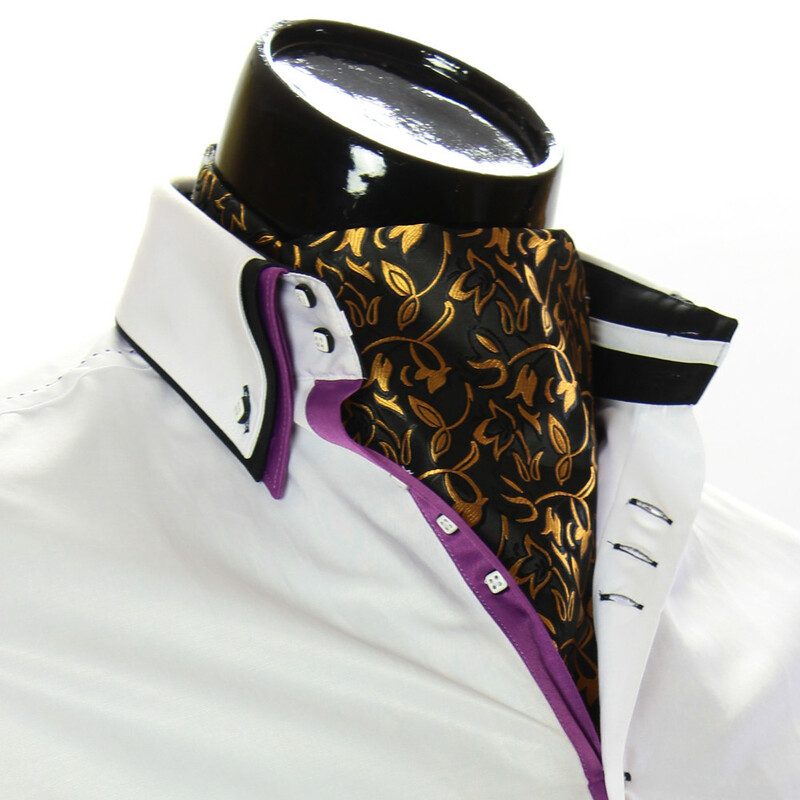 The pattern itself is a curly flowers with leaves in gold stroke. 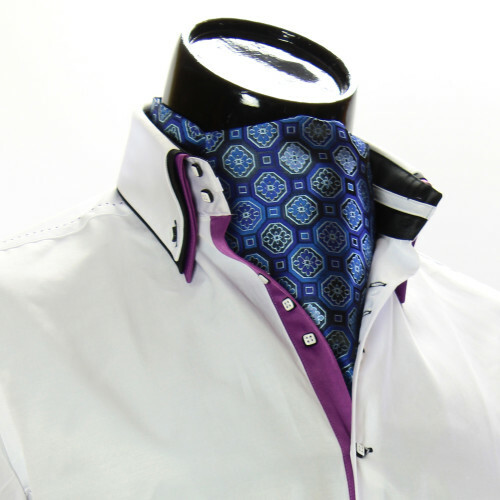 The model of the scarf is made in the classic version of tying (as you know, there are two options for tying and sewing the ascot neck tie: a simplified version, tying in one layer with one wide end and classical variant, tying in two layers two wide ends).